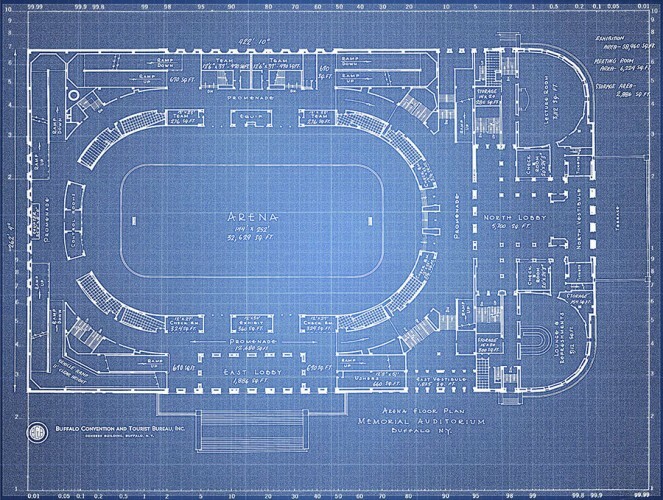 The Buffalo Memorial Auditorium began as a public works project to replace an aging civic auditorium (Buffalo Broadway Auditorium c. 1898, now a highway department garage known as the "Broadway Barns") and the recently collapsed Peace Bridge Arena across the border in Fort Erie. In June 1938, city officials sent a loan and grant application to the WPA for funds to build the new structure. The approval of the $1.2 million grant was announced in Washington D.C. on October 7, 1938, and construction began on November 30, 1939. 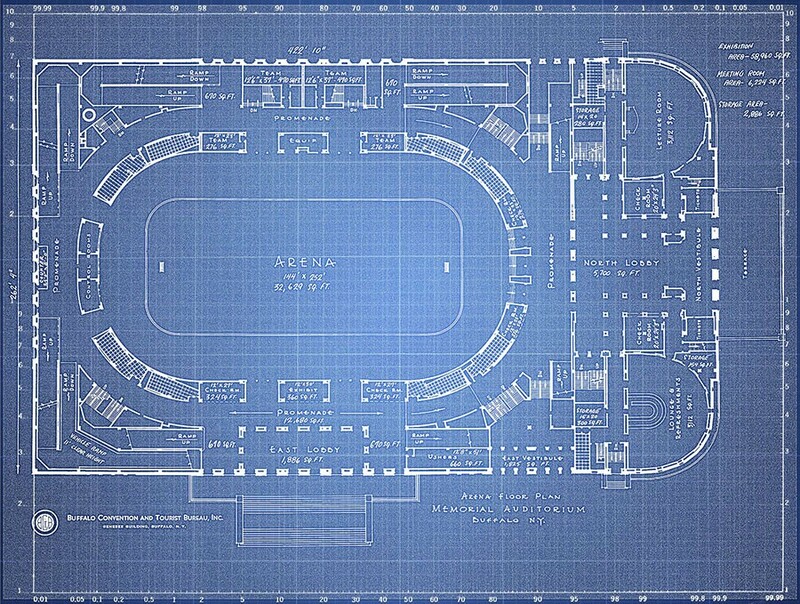 The arena was built on the junction of the old Erie Canal and Main-Hamburg Canal.